Do you struggle with getting your ideas across to others? Does it drive you crazy sitting in meetings wishing you could speak up and share your ideas with confidence? Do you ‘go blank’ when trying to contribute to conversations? Have you accidentally offended people with what you’ve said? Do you dread the idea of running meetings or presenting to people? If any of these sound like you then now may be time to work on your communication skills. It’s so easy to put off working on yourself, and yet being able to communicate well is vital for success in today’s fast paced interconnected world. Communications challenges come in many forms. Staying quiet and hiding in the shadows can hinder progression as much as speaking too much . Finding the balance and developing your own authentic voice as well as the skills to clearly convey your message, will help you communicate with the kind of confidence, clarity and conviction that gets you noticed (in a good way) AND get you results. 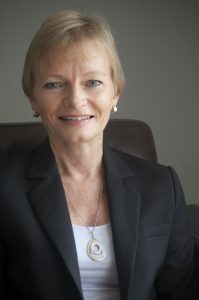 As a seasoned communications coach and trainer, I have more than 20 years of experience helping professionals develop exceptional communication skills. I’m based in Hong Kong and available in person or virtually throughout the world. Assessment Packages – There are a wide range of communications challenges and an even wider range of advice available. How do you know what’s right for you? An assessment tool can help you gain insight into the specific internal factors that impact the way you communicate. You can then create targeted plans for change. Plans that are right for YOU. This is where many of my clients like to begin their journey towards change. Change packages – Lasting change takes time and that time is different for everyone. My change packages are designed to meet your needs and help you make deep lasting change to the way you communicate, lead and live your life. 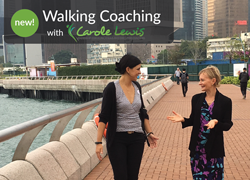 I am now offering my clients the additional possibility of walking coaching for some, or all, of their sessions. Contact me to discuss which option is right for you. You get out what you put in. If you are looking to make a lasting change, you need to put in the work. Find out exactly where you stand on a range of traits that affect your ability to build relationships and communicate like a successful leader. Real examples of leaders who have learned to communicate with clarity, confidence and conviction and achieve their goals.